The La Liga Santander and LaLiga 1 2 3 clubs in Spain held a minute of silence on August 18th Friday to show their honorable respect and offer condolences to the families of the victims of the tragedy which took place on August 17th afternoon in Barcelona. In Barcelona, totally 14 people were killed in that terrorist attack and more than hundreds were injured. The incident happened at one of the hot spot of the town which is the famous tourist place. In the first day of the La Liga session 2017-18, before the training of the Firday morning, the La Liga clubs held a minute silence. Early, the La Liga has requested to the permission from the RFEF to hold a one-minute silence ahead of each of the games played this match day across the two divisions. Also, several clubs offer their sympathies along with their teams. In this, the second most important team of the tournament Barcelona FC paid their one-minute silence as early on before of the training for their first match. 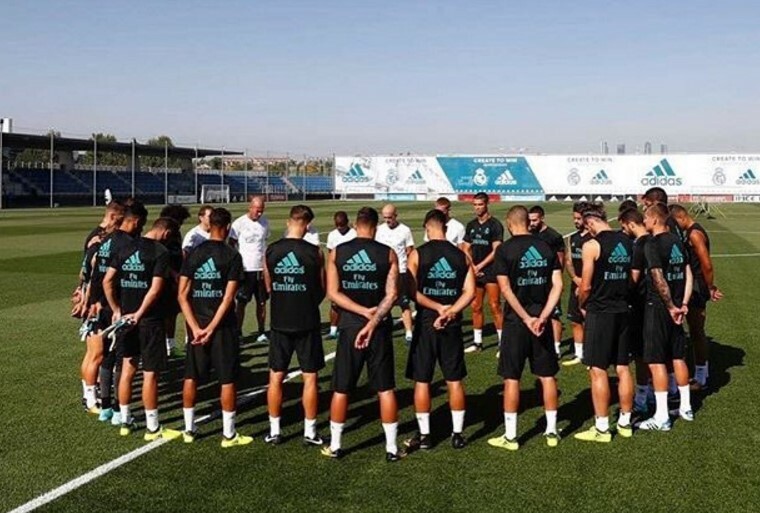 Real Madrid also held a minute’s silence before starting their training as many of Zinedine Zidane’s players offered their condolences. While the lead star players offered their condolences through their social media.